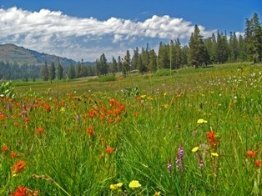 Bring your binoculars to learn more about the Mountain Bluebird, Red-Breasted Sapsucker, MacGillivray’s Warbler, Black-backed Woodpecker, and Pine Grosbeak, as you stroll through flower-covered alpine meadows. 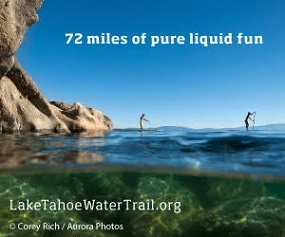 For further details on what to bring and other dates and locations, visit the Tahoe Rim Trail Association website at www.tahoerimtrail.org. The Tahoe Rim Trail Association, founded in 1981, is a non-profit organization, which works to maintain and enhance the Tahoe Rim Trail system, practice and inspire stewardship and promote access to the beauty of the Lake Tahoe Region. The Association works in partnership with the USDA Forest Service and Nevada State Parks.